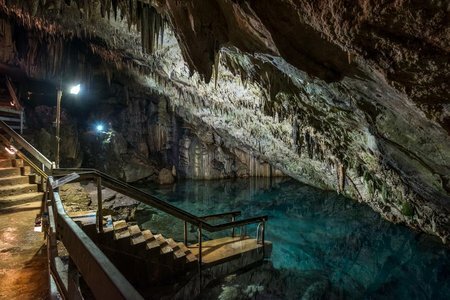 Opened in 1997, purpose of Bermuda Underwater Exploration Institute or the BUEI is to enhance understanding of the mysteries of the ocean including its diverse marine life, corals etc as well as knowledge about the historic shipwrecks of Bermuda. This is done through a series of eye-popping artifacts and exhibits, many of them interactive. BUEI is located in Hamilton City and is one of the top tourist attractions in the island. The building where all exhibits are placed is known as Ocean Discovery Center. 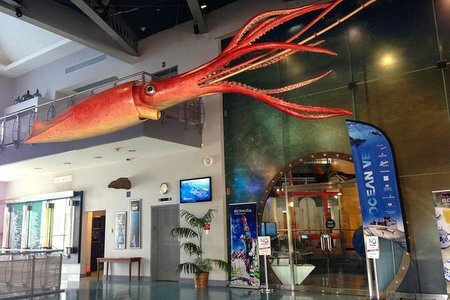 A life-size replica of a 500-pound, 27-foot long squid hangs in the entrance hall. The exhibits are showcased in two different floors. There is a Treasure Room that showcases many items collected by Teddy Tucker, a legendary scuba diver of Bermuda who collected numerous underwater treasures from shipwrecks. 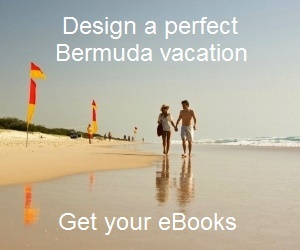 Teddy was once the honorary chairman of Bermuda Underwater Exploration Institute. He passed away in June 2014. Among the many collections in Treasure Room are the replica of Pectoral Cross made of gold & emerald collected by Teddy Tucker in 1955 from the wreck of San Pedro, and ampoules of opium from the shipwreck Constellation that sank in 1943. 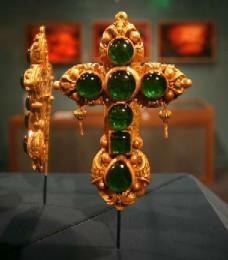 You will also see many gold bars and Treasure Coins here. Just outside the exit and mounted on the wall is a replica of the jaws of the largest Great White Shark ever caught. Other displays include glassware from the wrecks of Lord Amberst (1778) and L'Herminie (1838). There are more than 300 shipwreck sites in waters surrounding Bermuda. Therefore there are many other notable displays in this section. The Shipwreck Gallery shows a film footage of Teddy Tucker exploring several shipwrecks. A wall panel further explains some of those famous wrecks including The Constellation (sunk in 1943) and San Pedro (sunk in 1595). The Deep & Bioluminescence Section showcases the underwater creatures that create their own lights or glows for protection and attractions. Here you will also hear the sounds made by the dolphins and whales. A large mural depicts the underwater food chain of deep sea creatures including that of Blue Whales. The lower floor also has a Shark Cage. A group of six can get into the cage at a time and experience a simulated attack and hit by a shark. Another section The Deep explains the sea floor terrain and many deep sea creatures. You can even interact with virtual Jelly fish. Blue Echo Dive: Here you can take a simulated 7-minute trip to the ocean floor (at a depth of 12,000ft) by a modern Nautilus-X2 submarine. You will encounter many mysterious underwater creatures of the sea (all virtual though) as you take this virtual dive. This is very popular with the visitors particularly with the children. The circular Science at Sea room is an interactive learning room for the visitors where you can come to know about the latest discoveries of the sea and its environment. A large globe of the earth forms the centerpiece. Update June 2016: The Science at Sea room has been replaced with Living with the Ocean. With the help of sophisticated technology, you can explore how human beings interact with the ocean and its varied marine life all through the world including in Bermuda. 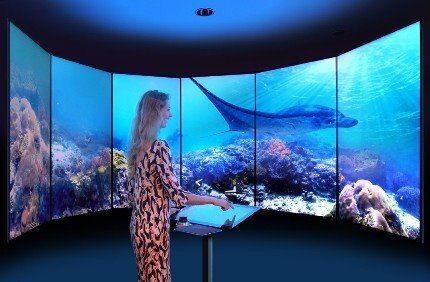 There are seven large screens that simulate a section of the ocean and you can navigate to any part of the ocean anywhere in the world and see coral reefs in life-like views. The exhibit also showcases oceanic environmental problems: plastic pollution, global warming, over fishing etc. In addition, there are interactive displays about Bermuda whales, sharks and reefs. Update February 2018: A new exhibit has been opened recently known as Bermuda Triangle: Unlock the Secrets which reveals some of the mysteries behind the infamous Bermuda Triangle. You can see a 3D hologram of how a hurricane is formed on the ocean and how it finally subsides. Another huge glass cylinder demonstrates a theory of the triangle on how a large amount of methane gas once released from the ocean floor can sink ships & aircraft. You will also get to know about several other theories of Bermuda triangle causing accidents to ships and aircraft on the Atlantic. You should also visit the Shell Collection room. It's a mind-blowing display of 1,200 shells collected by a person named Jack Lightbourn. This is only 1/4th of his total collection. A new section in the upper floor exhibits Lionfish and other invasive species. Update June 2016: The section on Invasive Species/Lionfish no longer exists and has been replaced by Built to Win America's cup. 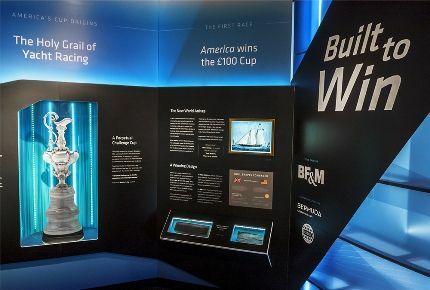 Here the exhibits are about the technology and history of the America's Cup. This is one of the most prestigious and oldest sailing races in the world which started 45 years before Olympics. The 35th America's Cup is being held in Bermuda in 2017 and hence such changes to make visitors aware of several aspects of the history and technology used in America's Cup which has helped shape sailing over the years. The America's Cup has pushed innovative boat designs and technology all through its history. The virtual reality oculus will transport you to a seat on a soaring America's Cup Catamaran. A grinding machine and racing simulators will let you test your sailing skills. 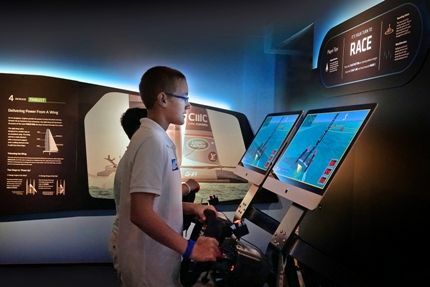 Staring from the artifacts from the first ever America's cup, to the evolution of boat construction, to the science of sailing and foiling, the exhibit has plenty to learn and plenty to play! In another section known as Bermuda Revealed, you get to see a replica of bathysphere, the famous metal ball less than 5 feet in diameter in which William Beebe and Otis Barton descended to a depth of half a mile off the coast of Bermuda in the 1934. The dive broke the previous record depth for a human dive of 525 feet and stood for 15 years. You can climb into the bathyspehere and experience the feel. Other rare collections at BUEI includes a diving bell - an example of early diving gears. Also on display is an Exo-suit, similar to an astronaut’s suit, but made of titanium. It allows divers wearing it to reach depths of 600 feet. It can be used for rescuing the crew of sunken submarines. Special events like lectures and whale-watching trips (in season, April - May) are also offered by BUEI for additional fee. BUEI holds an annual Harborside Market festival in its premises where dozens of local vendors participate showcasing a range of art & craft and various gift items. During season, BUEI also organizes guided tour for watching Glow worms & their mating dance. The annual Harborside Market is held at BUEI usually in November from 10am to 4pm. About 40 vendors participated... there are movies for kids, popup spa, photos with Santa, raffle draw etc. Vendors set up stalls across three floors of the building. BUEI also runs the Blue Train during summer (usually starts in April) accompanied by a tour guide. It takes you around Hamilton City showing you the historical sites and several other important landmarks in the capital city. The train leaves either from the BUEI Ocean Discovery Center or from Hamilton Ferry Terminal, completes a circuit and returns. There is an audio commentary explaining the landmarks. There is an onsite restaurant Harbourfront. The BUEI also has a gift shop. Admission Fee is $15 for adults, $12 for seniors, $8 for children between 6-17 years. Children under six are free. Advance booking not required. Visit the Tourist Map to view the location and other attractions around. Address: 40 Crow Lane, off Eastern Broadway, Hamilton City, Pembroke. It's located on East Broadway (the eastern continuation of Front Street) and is a 5 -10 minute walk from the center of Hamilton city. Take the sidewalk along the waterside of Front Street. Bus routes: #1, 2, 7, 8. Email: [email protected]; Phone: (441) 292-7219. 3) Check out Hamilton City for many other great attractions in Hamilton.